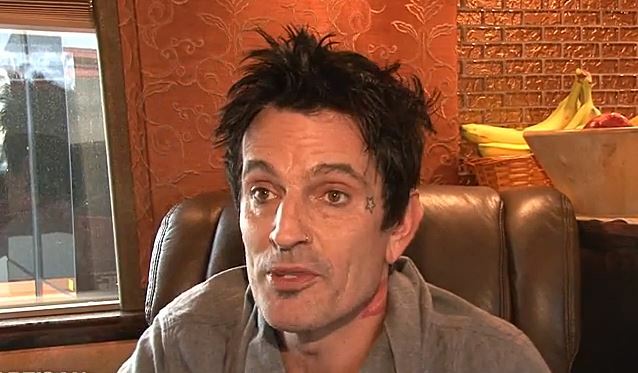 MÖTLEY CRÜE drummer Tommy Lee has revealed that guitarist Mick Mars‘s poor health is partly to blame for the band’s decision to retire from touring. Lee videotaped a “Coffe Run” ride with the Canadian progressive-house music producer and performer Deadmau5 and answered a variety of questions, including why he gave away his very first gold record (he was “really fucked up”) to why the two of them were banned from Coachella festival. MÖTLEY CRÜE recently returned to Las Vegas for an exclusive twelve-show engagement September 18 through October 6 at The Joint at Hard Rock Hotel & Casino. 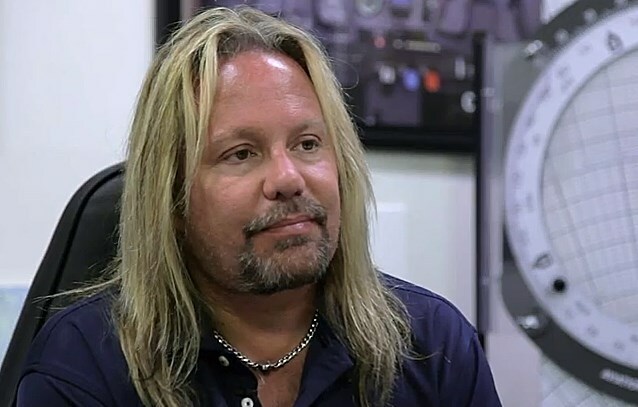 In a brand new interview with The Oakland Press, MÖTLEY CRÜE singer Vince Neil was asked about bassist Nikki Sixx‘s recent statement that the final chapter for the band could come as early as 2016, after the film version of MÖTLEY CRÜE‘s biography, “The Dirt: Confessions Of The World’s Most Notorious Rock Band “, gets completed, an accompanying album is released and yet one more tour around the globe. “It’s definitely for real,” confirmed Neil. “We want to go out on top. We don’t want to be one of those bands that people are like, ‘Oh, they’re playing a … little club now. We still sell out arenas and do stadium shows and stuff like that, and that’s how we want to be remembered. 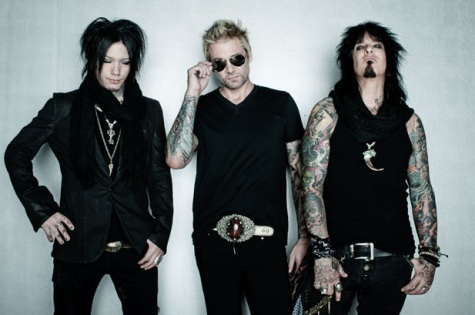 Rock band SIXX: A.M. — which consists of bassist Nikki Sixx, guitarist DJ Ashba and vocalist James Michael — is continuing work on material for its third album, tentatively due later this year. In a new posting on his Facebook page, Sixx — who will embark on a twelve-show residency with MÖTLEY CRÜE at The Joint at Hard Rock Hotel & Casino in Las Vegas September 18 through October 6 — stated about the progress of the recording sessions for the new CD: “James has been with DJ in Vegas recording guitars on the new SIXX: A.M. album.We have a little ways to go to finish off the whole album, but were zeroing in on what the first single will be. It’s not gonna be easy. “I am so proud of this album from the ground up. These songs are very unique. James, DJ and myself feel we have topped ourselves, but in the end, [the fans] will be the ones who make that decision. 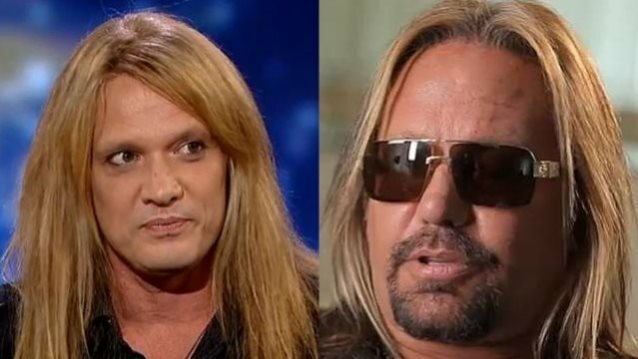 As each band member has been kept busy with their other careers — Sixxis also the bassist for MÖTLEY CRÜE and a syndicated radio host; Ashbais currently touring with GUNS N’ ROSES; James Michael is a famed rock producer who is currently working on new records for PAPA ROACH,HALESTORM and others — this marked the band’s first chance to perform in support of their current album, “This Is Gonna Hurt”, which supplied the #1 rock anthem “Lies Of The Beautiful People”.